Lawn Sprinkler System Repairs American Property Maintenance Free Est.. Lawn Sprinkler System Repairs, American Property Maintenance has over 20 years experience repairing sprinkler systems. Our main office is located in Pasco Florida, we provide sprinkler system repairs to the Tampa bay area. The counties we service for irrigation repairs include Hernando, Pasco, Hillsborough, Pinellas. We always provide Free Estimates and all work is warrantied we also have a variety of payment options Cash, Check, Credit Cards, PayPal. Sprinkler Valve Replacement, American Property Maintenance has over 20 years experience with sprinkler valve replacement. The main reason to replace your sprinkler valves is due to age if you’ve gotten over 10 years with the sprinkler valves you have it’s time to replace them with new ones unless you have Rain-Bird sprinkler valves. Sprinkler Head Repair, Usually you can just unscrew one head and replace it with a new one, sounds easy but it’s not. To start with if your replacing a rotor your going to need to adjust the sprinkler head after your done. If your replacing a sprinkler spray head your going to need a certain kind of nozzle to make the sprinkler head spray correctly. Pool Revamps (Re connection after Pool install), This type of irrigation repair call is very important. Before the pool company rips out all the irrigation pipes call us. We will locate your sprinkler pipes and cap them, we do this so when your pool is finished we can just rerun your sprinkler pipes around your pool. Sprinkler Controller Repairs, We believe that Rain-Bird has the best lawn irrigation controllers. With that being said a sprinkler timer is very important, this allows you to set the water days and start time. Over time sprinkler timers wear out and new lawn irrigation controllers come out. Patios Revamps (Reconnection after Patio install), This type of lawn sprinkler service call is just like the above explanation. If you are getting a patio put in call us first so we can locate your irrigation pipes, this will save you money when your patio is finished. Sprinkler System Maintenance, this is very important and gets over looked by a lot of home owners. You should have American Property Maintenance come out at least twice a year to check your sprinkler system. We check for leaks under ground that can sometimes be overseen. Sprinkler Valve Repair, this is one of our most common service calls for irrigation repairs Pasco. The reason irrigation valve repairs is our most common call is because a sprinkler valve has two main parts a diaphragm and a solenoid. Over time a sprinkler diaphragm just wears out especially if your sprinklers are being feed from a well. Not only does well water leave brown stains on your house, driveway and any other thing the water comes in contact with. The sprinkler pump is pulling water from the well, it’s not only pulling water up from the ground but it’s pulling dirt and rocks which can and will ruin your sprinkler system diaphragm. The solenoid is on top of the sprinkler valve and has two wires coming from it, one wire is called your common and the other wire starts your sprinkler system zone. Just like any other electrical device it wears out in time. Additional Zones Added, American Property Maintenance is the leader in irrigation designs. 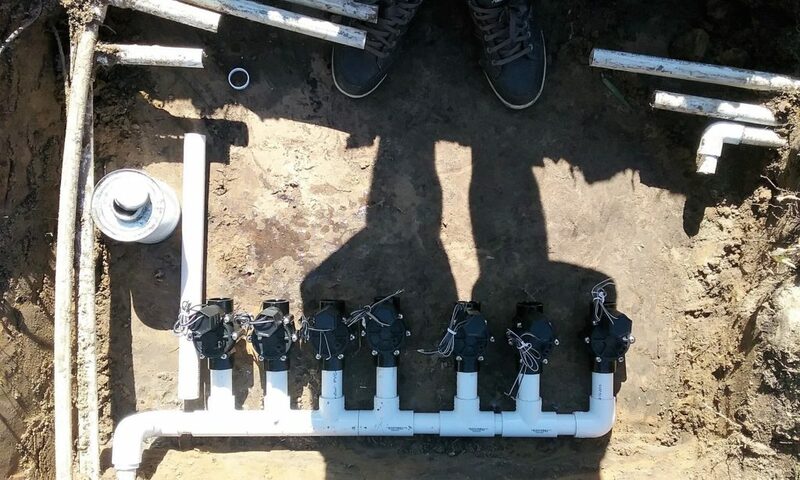 We have been designing irrigation system for over 20 years. When it comes to making sure your lawn is being watered properly we have you covered. Valve, Manifold Location, This type of sprinkler repair service call can be time consuming. As an irrigation expert locating valves is something I’m really good at. We have certain tools that can help us located your lawn sprinkler valves if needed. Copyright © 2019 American Property Maintenance. Powered by WordPress. Theme: Spacious by ThemeGrill.